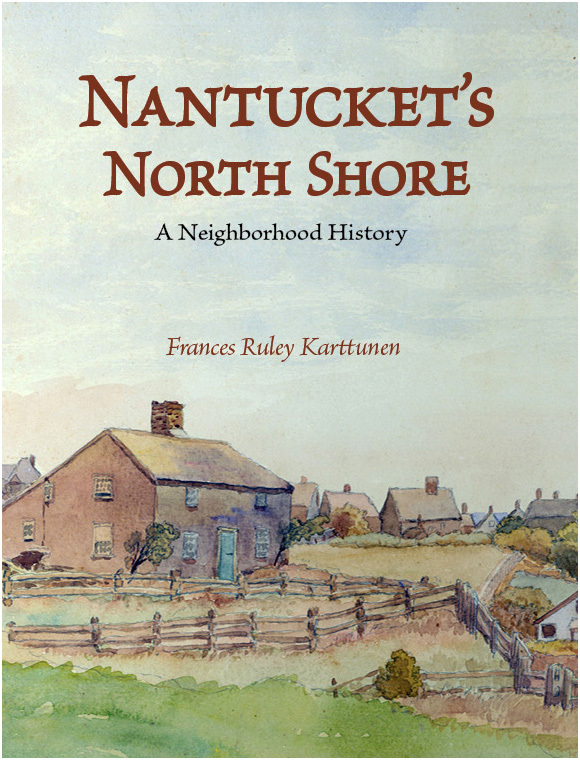 A new Nantucket book titled: Nantucket’s North Shore: A Neighborhood History is set to launch June 19th. 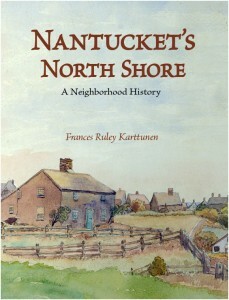 Author Frances Ruley Karttunen’s, a Nantucket native will hold the book launch and signing at the Nantucket Hotel and Resort, 77 Easton Street, Nantucket, MA on Thursday, June 19 from 5-7 p.m.
Nantucket’s North Shore ~ A Neighborhood History is the story of settlement on the island from Madaket in the west to the north side of the present Town of Nantucket, told in words and many photos. You’ll meet colorful island people who lived on the North Shore, see the houses where they lived, learn how they worked and played. Interspersed within each chapter are Old Nantucket recipes like Sweet Flag Candy, Blueberry Grunt, and Nantucket Corn Pudding. 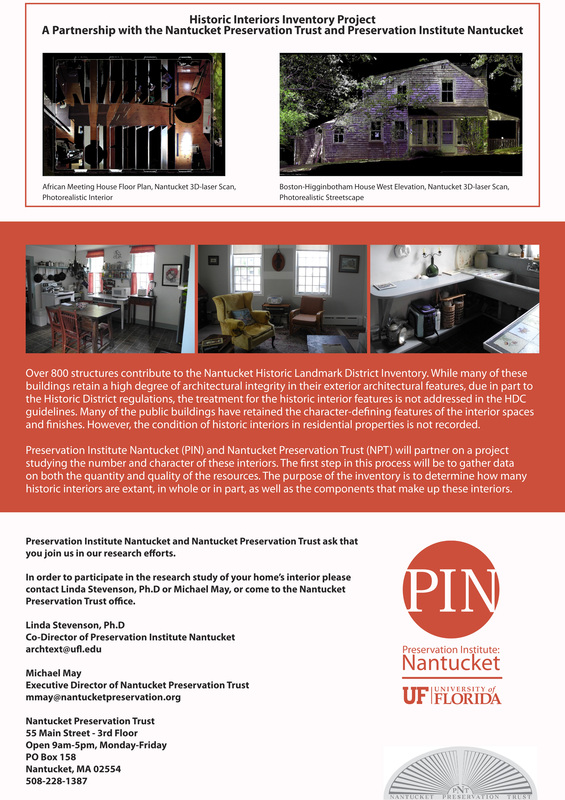 Help the NPT and Preservation Institute Nantucket (PIN) inventory Nantucket’s historic interiors. Nantucket’s historic exteriors maintain a high degree of integrity due to our HDC, however the interior of these buildings are not protected. We have collaborated with PIN in a project to inventory the interiors of Nantucket’s historic, residential buildings. The first step is to gather the data. You can help by participating in the research process of this project. 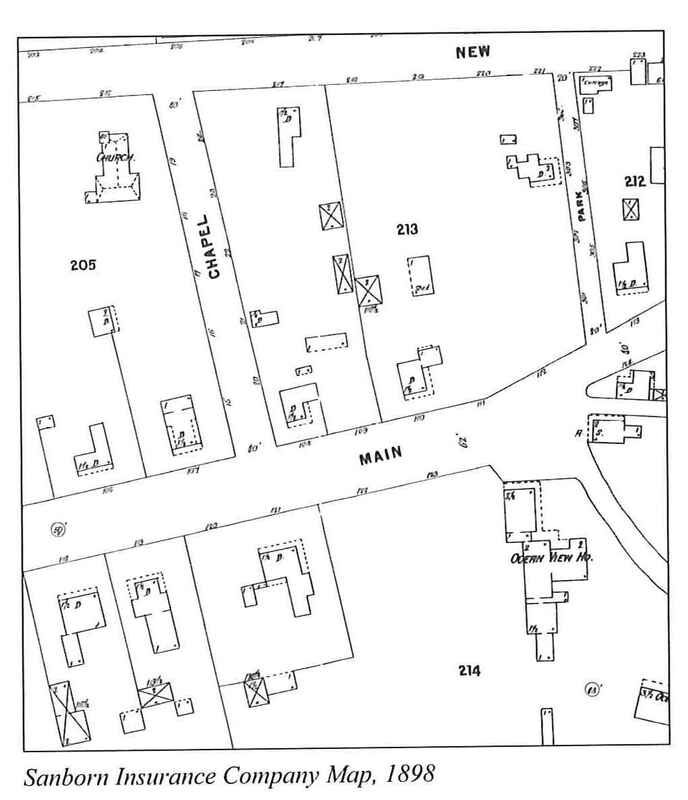 Do you have a historic Nantucket home that you would like to be included in the study? If so please contact Linda Stevenson, PH.D or Michael May or stop by the NPT office: 55 Main street, third floor. 10 Main Street, ‘Sconset built in the 1930’s used to house ‘Sconset Branch of the Great Atlantic Pacific Tea Co. This property is now home to Claudette’s, named for the first professional caterer on the island, Claudette Pearl, who opened her catering business there in 1967. In less than two weeks islanders and visitors will line Main Street ‘Sconset decked out in festive Daffodil Day gear, while enjoying tailgate picnics. 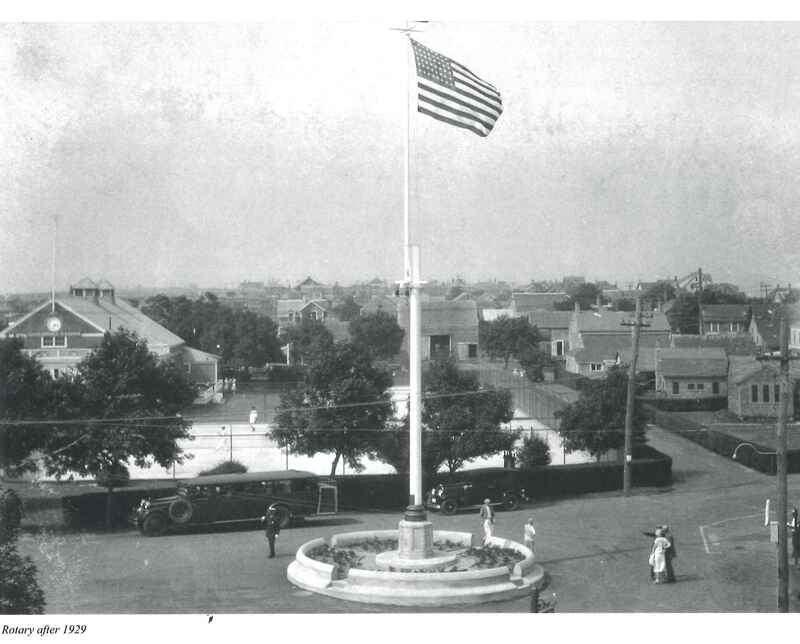 The historical properties that line Main Street ‘Sconset lead to the village’s heart, the ‘Sconset rotary. “In the eighteenth and for most of the nineteenth centuries, when town was hours away by horse-drawn carriage, there were more shops and markets catering to the summer crowd in ‘Sconset and they were scattered farther from what is now the village center. But important services and businesses have been at the head of Main Street for more than a hundred years, and the center still holds. 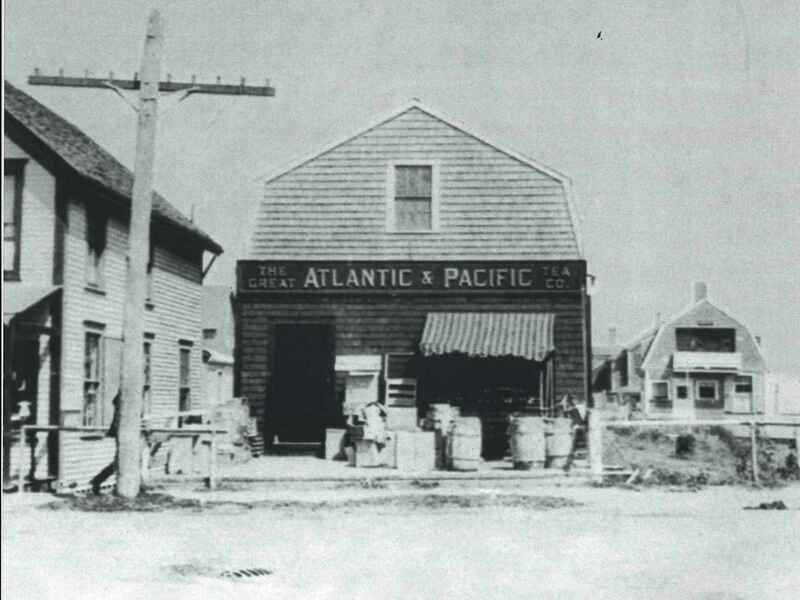 Before the fir st commercial building was built at the rotary, however, the east end of Main Street, at the top of the slope that later became Gully Road, was dominated by the Ocean View House, built in 1873. As that hotel expanded and the railroad was extended to ‘Sconset in the 1880’s, there arose the necessity of supplying provisions and mementos for an increasing number of visitors. The earliest Sanborn Insurance Company map of the village (see below) – depicting dwellings, barns, stores, sheds, and hotels- published in 1898, shows the variety store selling souvenirs, ice cream, newspapers, and books that came to be known as the Siasconset Bookstore – a building that was less than ten years old at the time, since it does not appear on Henry Platt’s 1888 map of the village. The Siasconset Bookstore is now the name of the liquor store that occupies the south half of the building; the other side is home to ‘Sconset Café. The Post Office was located on Elbow Lane in 1898, in a building that has since been removed; in 1902 it moved to its rotary location, occupying a house built by James and Charlotte Gibbs in 1875. The July 25th, 2014 Summer Lecture & Luncheon will feature a lecture by architect Peter Pennoyer & architectural historian Ann Walker titled: Narratives of Manner and Style: The Houses of Cross & Cross. Recently, Pennoyer has been making headlines in renowned publications for his present and past work. A recent Wall Street Journal article dated March 13th highlights the Chinese city Dalian and its new architectural trend from 19th century Paris: Beaux-Arts. 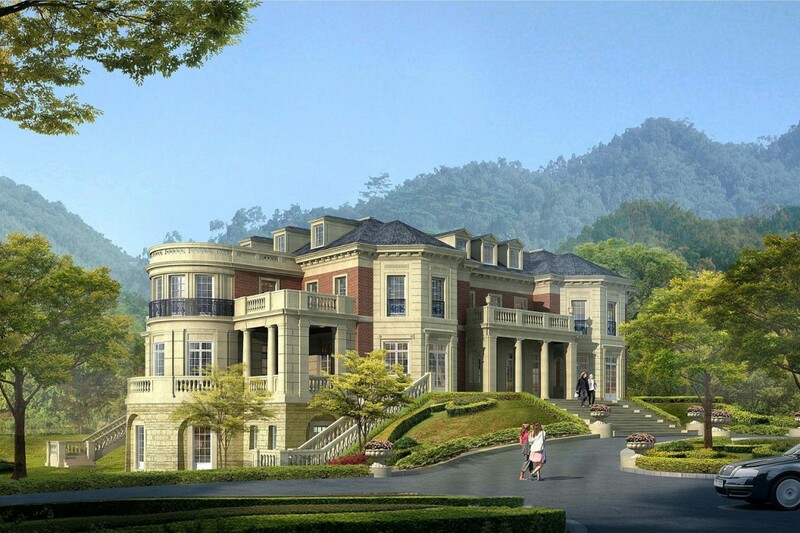 The image above features Pennoyer’s rendering of a beaux-art style, architectural clubhouse proposed for a residential community, Xiao Yao Bay located in Dalian. This new trend has recently become quite popular with elite Chinese communities. Beaux-Arts Style influenced US architecture during the period of 1880 to 1920. Click Here to read the entire article. Pennoyer was named to the elite AD100 list, which is annually released by Architectural Digest. The list has been in existence since 1990 and features current distinguished architects and designers. To be included is not only an honor but an accomplishment as well, “These are the men and women who are shaping the way we live—one building, one house, one room at a time.” – Architectural Digest. Click Here to read Pennoyer’s profile and see the complete AD100 list. The article, Upper East Side Block of Genuine Interest published April 3rd in The New York Times Real Estate section features one of Pennoyer’s most recent architectural accomplishments: No. 125 East 80th street between Park and Lexington (see photo above). The limestone building, built in 2013 is among a few that easily could be mistaken for early 19th century buildings. Pennoyer’s neo-traditional building features oval columns replicated from the neighboring building No. 123 and a half-circle recess above the main floor windows to mirror No. 130 located across the street. 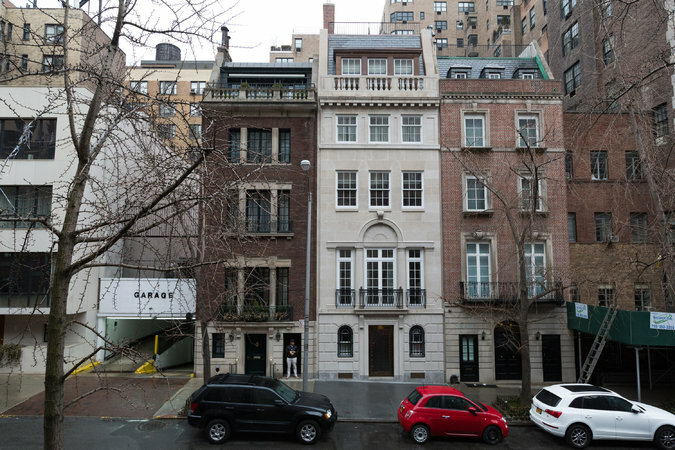 Learn more about Pennoyer’s recent building and similar “imposter” buildings of the Upper East Side: Click Here. Peter Pennoyer along with Ann Walker are the featured 2014 Summer Lecture & Luncheon speakers. Learn more about the July 25th event and purchase tickets HERE. 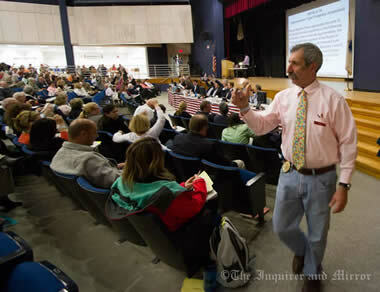 This past Saturday Nantucket’s annual town meeting was held at The Nantucket High School auditorium. Approximately 455 voters attended to discuss the 107 articles up for consideration. The following articles decided upon, deal with Nantucket preservation related matters. Article 87 – Home Rule Petition: Amendment to Historic District Commission Special Act was approved after an approximate 20 minute debate by a vote of 147 – 94. The home rule petition will be now sent to the state legislature to change the HDC make-up. If approved, the HDC will now change from a fully elected body to three-elected members and two appointed by the town Selectmen. The elected members will serve three year terms and the appointed, two year terms. Article 30 – Appropriation: FY 2015 Community Preservation Committee approved spending for the following restoration/preservation projects: $295,00 to St. Paul’s Church for the completion of exterior vestibule, a handicap access walkway and life and stairway, $350,00 to Town of Nantucket, Natural Resources Department for restoration of the historic Brant Point shellfish propagation facility and $270,00 to Nantucket Islands Land Bank for restoration of Historic clubhouse on Sconset Gold Course (Skinner’s).